Meet Robert Mckinnon. 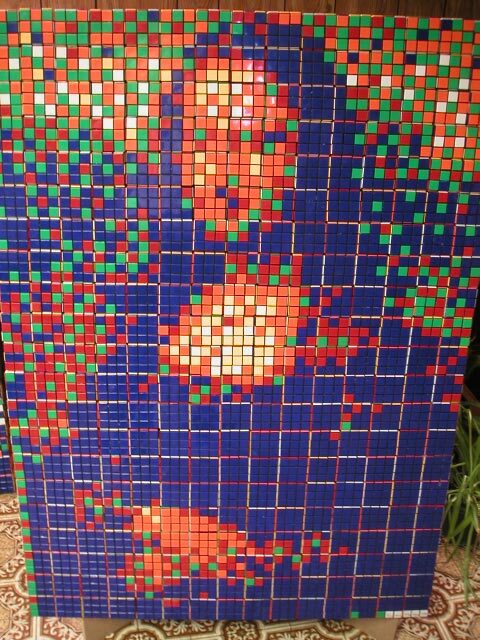 Electrician by trade and artist by passion, Mckinnon has chosen a particularly unique medium for his pieces: Rubik’s Cubes. Though he was Toronto-born (and though he spends most of his free time here), “a series of misfortunes,” Mckinnon says, has meant that he’s now in Georgetown, where, aside from working as an electrician, he writes for the local newspaper and takes on projects like this—”making art out of unusual things”—in an “attempt to cure boredom.” He’s now experimenting with more detailed pieces (smaller cubes) and larger pieces (more cubes). 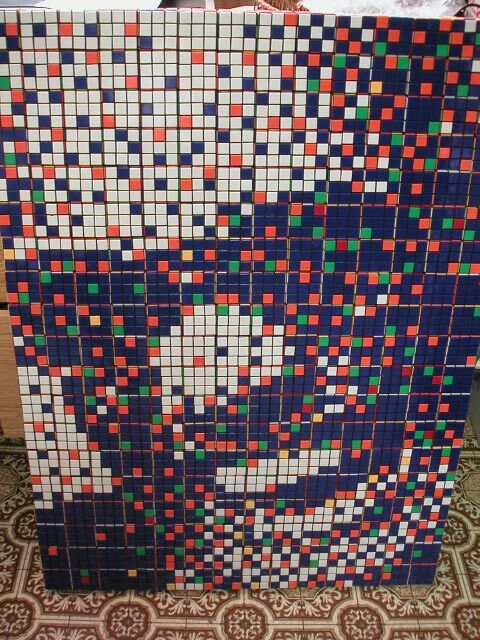 Though he’s not the only one out there doing what he’s doing (there are a few other artists using Rubik’s Cubes as art in one way or another) it is pretty safe to say that he is probably the only Rubik’s Cube artist in Toronto, and almost certainly the only one in Georgetown. McKinnon doesn’t have a website, but if you want to commission some work, you can email him at [email protected]. 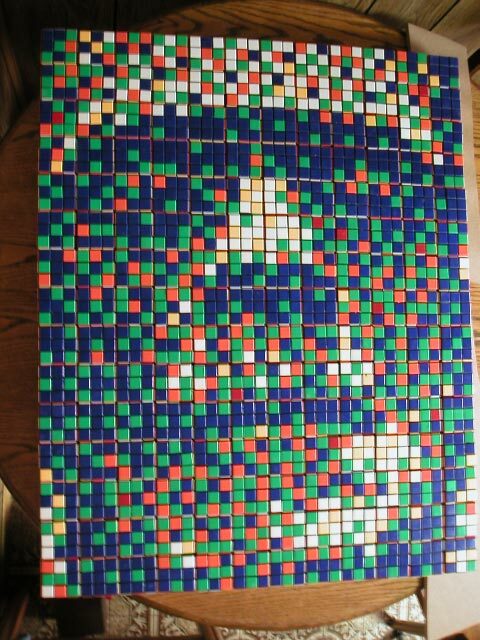 Let’s be honest: it’s hard to think of an occasion for which Rubik’s Cube art isn’t appropriate. 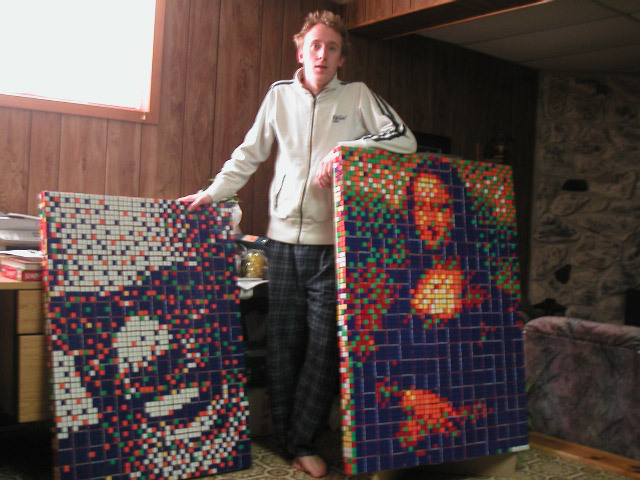 Larger shots of some of his pieces—Ray Charles, Mona Lisa, and Frankenstein’s monster—are after the fold. All photos courtesy of Robert Mckinnon. Hat tip to Two Guys From Toronto for the tip.